Well-groomed fairways, with thick rough, on rolling terrain. A few wooded holes, plus an "island" green (OB surrounding, not water). Dual tees and three basket placements per hole. 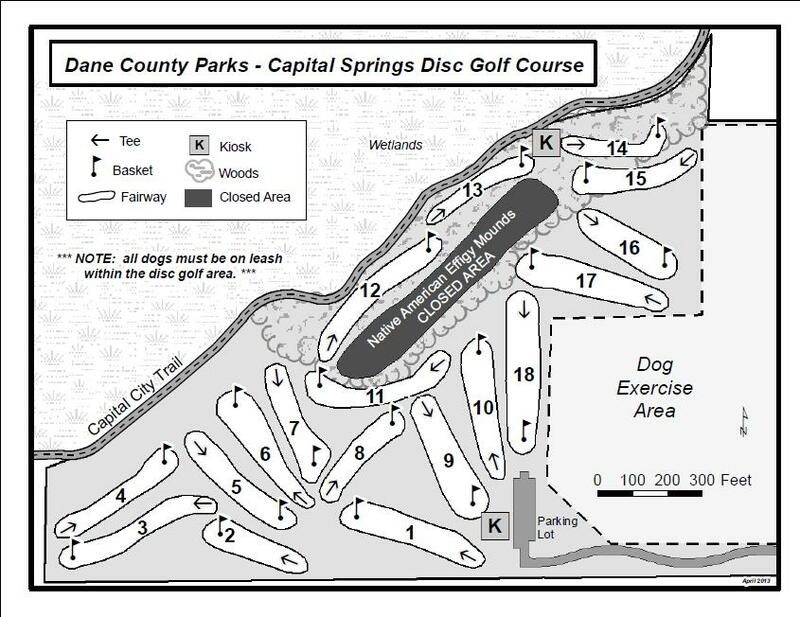 Part of the Dane County disc golf permit system, along with Vallarta-Ast at Token Creek. $8/day or $48/year, but free for ages 15 and under. US-12; exit 264. Go south on W Broadway/South Towne Dr for 0.2 mile to the roundabout. At roundabout, stay straight on South Towne Dr. for 0.5 mile to a left on Moorland Rd. Park entrance 1.1 miles on the right - behind the dog park. This is an absolutely great course! Played it during the 2016 Amateur World Championships and loved it.